XO - Displaying a wealth of aromatic aromas, the X.O. Armagnac gives a bouquet of vanilla and prunes with delicate notes of wood and the elusive nutty taste of rancio. Napoleon - This stunning Armagnac has a brown colour and a nose with aromas of coffee, coco and confit prunes. It has an attacking round taste and aromas of vanilla with a long persistant aromatic finish. VSOP - Round and full flavoured with aromas of vanilla and a touch of wood, this Armagnac displays sufficient character to be tasted with or without ice. Fine ArmagnacThis wonderful armagnac is fruity with a taste of fresh apple and grape. A warm and supple Armagnac that will provide a delightful evening. 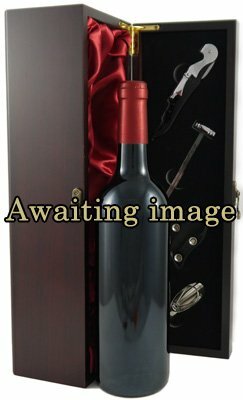 These bottles are shipped in a deluxe wooden presentation box with four wine accessories (corkscrew, wine pourer, drip stopper & wine thermometer) [worth £17.99] at no extra cost and now includes a free gift card with your personal message and tasting and storage notes.